"... is intended to provide a process whereby a student may be placed on a mandatory leave of absence when it becomes apparent that a student's behaviour, due to serious health or mental health issues, poses a risk of serious harm to themselves or others. ... The policy is designed to be used in exceptional circumstances, and even then only with very significant procedural safeguards for students and a rigorous approach to exploring accommodations and supportive resources." This policy would continue to restrict students from their studies until they are no longer considered a threat to themselves and/or others. 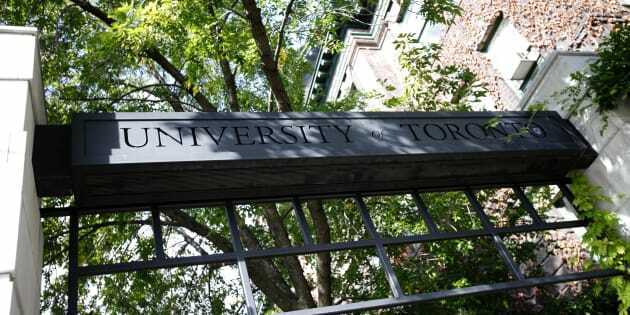 This policy attempts to shift the onus of responsibility to care for and support students away from University of Toronto, and it is an action that will isolate students who suffer from mental illnesses, further stigmatizing them. One in five young Canadians will be affected by mental illness, and only one in four will ever seek out the help that they need. University campuses are one such support system that validates the struggles and experience of living with a mental illness, and one that I relied on heavily throughout my own experience. When I attended Cégep in Quebec seven years ago, I was diagnosed with depression in my first semester by one of their in-house psychologists. I tried to kill myself a year later. A year after that, I took a semester off to focus on my health and well-being after I failed out of my program, before returning and enrolling in another. I would have certainly fit the criteria for my school therapist to take steps to force me to take time off from school to recover. During my undergraduate degree at Concordia, my depression relapsed. I sought the help of my old psychiatrist, but also found a psychologist at Concordia to confide in. I described to her my deepest insecurities and fears that I would once again try to kill myself. By the standards of U of T's recently adopted policy, I would have certainly fit the criteria for my school therapist to take steps to force me to take time off from school to recover. I was never forced to seek help. It was a personal decision that I had come to after months of thought and reflection. I sought help because I was lucky enough to have a strong support system that guided me to resources that could make me better, and had the agency to decide whether or not I had to take time off. But the University of Toronto mandatory leave policy is just that: mandatory. It strips away a student's right to choose, and would in turn force them out of an important support system that could be integral to their recovery — as it was to mine. It is not the duty of any institution of higher learning to push out its most vulnerable students, forcing them out of an environment that is stable and secure. This policy will also scare students who suffer from mental illness into not wanting to disclose their situation to those working for the university, be they health officials, professors or mentors. That anxiety of disclosing their struggle and the potential consequences of doing so will make it even harder reach out to family and friends about their illness. This will further isolate them and will reinforce the stigma. Luckily, this did not happen to me, and two years later I graduated with my Honours Bachelor of Arts. I owe this to the supportive attitude my institution had to my mental illness and the peer support I later found in the mental health advocacy organization Jack.org. I would instead suggest that the University of Toronto administration immediately rescind this harmful policy, which only serves to increase the stigma surrounding mental illness. It should instead focus its tremendous resources on increasing the support services available to students on campus — hire more psychologists, launch peer support programs, offer mental health first aid courses, and open a supportive and non-divisive dialogue with your student body, from all levels of the university. That's how we end the stigma around mental illness — by talking about it through open and honest conversation.